One would think that the death of a loved one would only include grieving. Unfortunately, attention needs to be paid to the distribution of assets, estate tax liabilities, sale of assets and the distribution of assets. In some cases the distribution of their property can often lead to heated disagreements between family members. Dealing with probate matters is a heart-wrenching experience, but is a required part of the process that comes when dealing with the passing away of a family member. 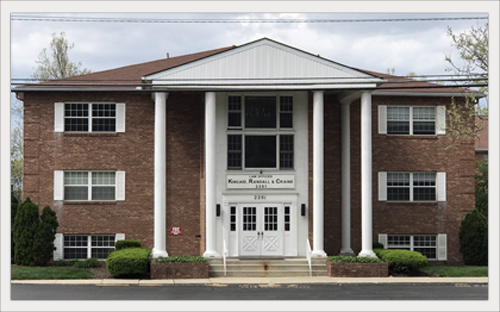 At Kincaid, Randall & Craine, we have been helping clients in the Columbus, Ohio area for over 75 years with their probate administration legal concerns. We take pride in providing solutions which meet our clients’ goals. Representation of clients in probate court matters. Inventorying and distribution of estate assets and debts. Determining competency, lack of capacity, fraud, and undue influence issues through medical record investigations and witness testimony. Probate litigation issues – our attorneys will assist clients who have wills, trusts, or power of attorney disputes. The probate administration attorneys at Kincaid, Randall & Craine have over 60 years of combined experience representing clients in the Central Ohio area with their probate administration legal issues. Contact our office by phone at (614) 224-7193 to arrange for your free initial consultation.